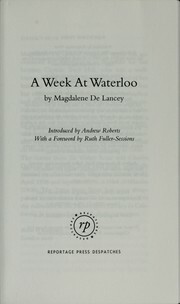 Are you sure you want to remove A week at Waterloo in 1815 from your list? 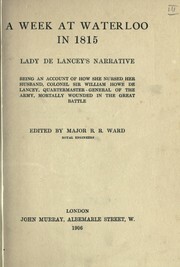 A week at Waterloo in 1815.: Lady De Lancey's narrative: being an account of how she nursed her husband, Colonel Sir William Howe De Lancey, quartermaster-general of the army, mortally wounded in the great battle. 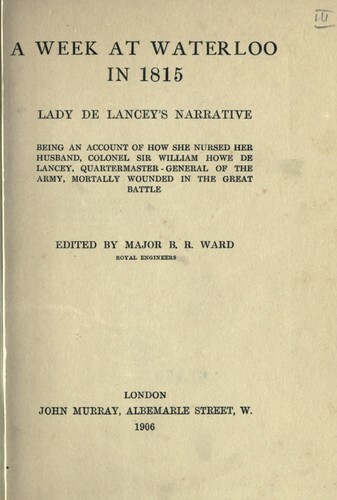 A week at Waterloo in 1815.: Lady De Lancey's narrative; being an account of how she nursed her husband, Colonel Sir William Howe De Lancey, quartermaster-general of the army, mortally wounded in the great battle.